How to add location and time to Excel calendar? Hi, I am needing to have the event start and end time listed in a separate column so I can total all of the time spend for the month in each event calendar below the monthly calendar. I am also needing to add a column for event cost so I can total that as well. Both of these need to appear on the monthly event calendar. What would be the formula that I would use in these added columns to get the table to work properly? We can enter cost in Custom Col 2 or a new column. 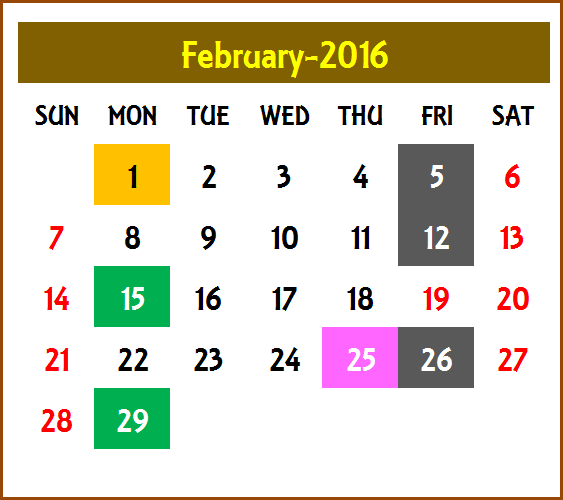 Custom Col 1 and Custom Col 2 can be displayed easily in the Daily Calendar sheet. To add them to Monthly calendar designs would require complex formulas and hard to write up here. I will send the above information to your email as well. Thanks & Best wishes.